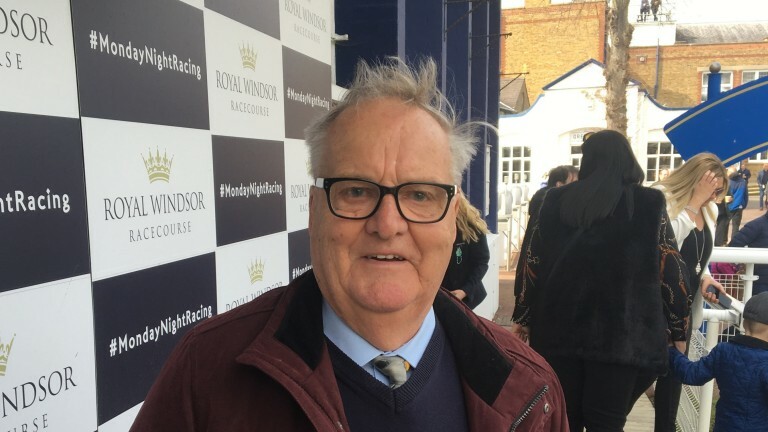 Hughie Morrison dropped in at Windsor en route to an appointment at the Moorfields Eye Hospital in London and the trainer could have been forgiven for thinking he was seeing things as Telecaster stormed to a nine-length win in the 1m2f novice stakes. This was not a mirage, however, rather a three-year-old bred to be very good proving he is exactly that, setting up a possible tilt at York's Group 2 Al Basti Equiworld Dubai Dante Stakes next month. "He's a very nice horse," said Morrison, suffering with a detached retina but smiling after what he had just seen. "Marmelo and this horse are our two best and he's the best middle-distance three-year-old colt I've ever had. "We put him in the Dante because we felt confident he was worth the entry and we have a week or two to think about it. He might be an Irish Derby horse but we'll see what happens." The winner, a son of Derby victor New Approach and dual Oaks runner-up Shirocco Star, did hold an Investec Derby entry but was taken out of the race before his debut second to Bangkok at Doncaster last month, although owner-breeder Mark Weinfeld was relaxed about that decision. "You can't ask for more than that," said Weinfeld. "It would be nice to have a go at a Classic trial now. He was in the Derby but we didn't think he'd be ready and, rightly or wrongly, we took him out. "The Derby isn't always the best race for a horse but we'll have a go at a Classic trial hopefully, and then think again." Archie Watson made it four winners from seven juvenile runners in 2019 as Lambeth Walk justified cramped odds on her debut with a cosy win in the 6f novice stakes for fillies. Sent off 4-5 favourite, the daughter of Charm Spirit was away alertly under Oisin Murphy before showing a potent kick in the closing stages to register a two-and-a-quarter-length success. "We haven't had her long and it's all happened quite quickly for her. I hope there's more to come," said Watson. 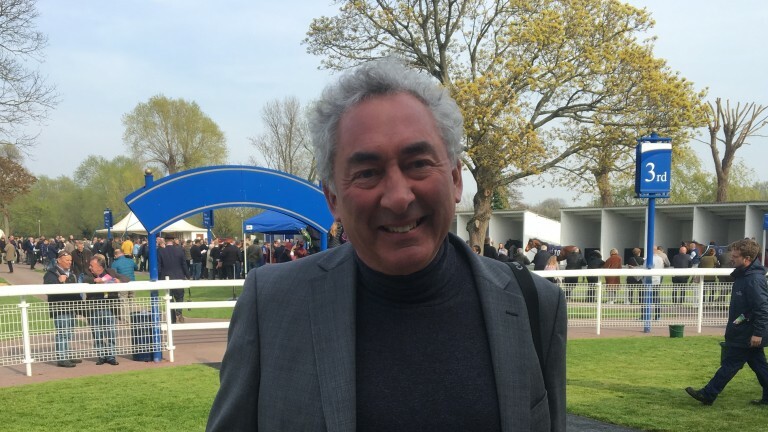 "Every single horse we run will have had an away-day just to jump out the stalls somewhere and this filly did go to Wolverhampton and worked pleasingly enough. Hopefully we can keep it up with the two-year-olds." Asked if she was potentially of Royal Ascot ilk, Watson added: "I'd say that form will work out well and she's got scope. I'd imagine she's a Queen Mary filly if she's anything, but she'll run once or twice more and if she's good enough we'll go to Ascot." Georgia Dobie landed the first double of her career with victory for boss Eve Johnson Houghton aboard Kirkland Forever in the 1m3½f handicap and a win on her first ride for Hugo Palmer, Wall Of Sapphire, in the mile handicap. She looks an apprentice going places. Owner Barry Veasey was all smiles after Bellevarde scored in his colours for a fifth time in the 5f handicap, and for good reason. He revealed he had backed the 25-1 shot both at his local William Hill and on course for a handsome return. Only after the race did trainer Hughie Morrison reveal 1m2f handicap winner Korcho had worked nicely with Saturday's Newbury winner Marmelo. Stuart Kittow was the man to follow in the 6f handicap as the Devon trainer landed the forecast with Incentive and Trotter. However, he could not hide his frustration at having to run both in the same race due to a lack of early-season opportunities for lower-rated horses on turf.